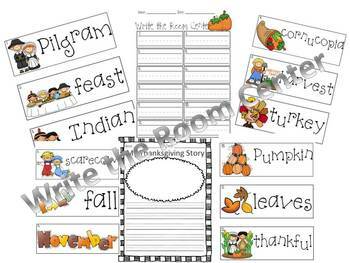 *12 Thanksgiving word cards to cut apart and laminate. * Recording Paper for activity. * My Thanksgiving Story Writing Paper.